Explore the Green Grotto Caves while in port at Falmouth Pier, Explore the beautiful caves and discover crystal-clear underground lakes. 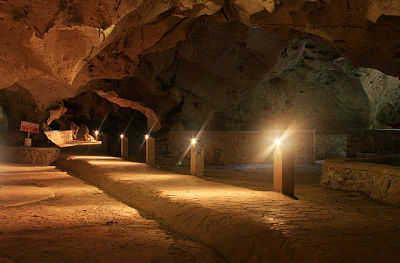 Learn the interesting history of the caves and discover how they were used as hiding place and scape route in the 1600s. After this historical adventure at the Green Grotto Caves journey back to your cruise port in time for your departure or go shopping in Falmouth Town. This tour is a great family experience and is a must while visiting Jamaica. Round trip transfer between Falmouth cruise ship pier and Green Grotto Caves. Green Grotto Caves & guide entrance fee. Falmouth Shopping & Craft Market.